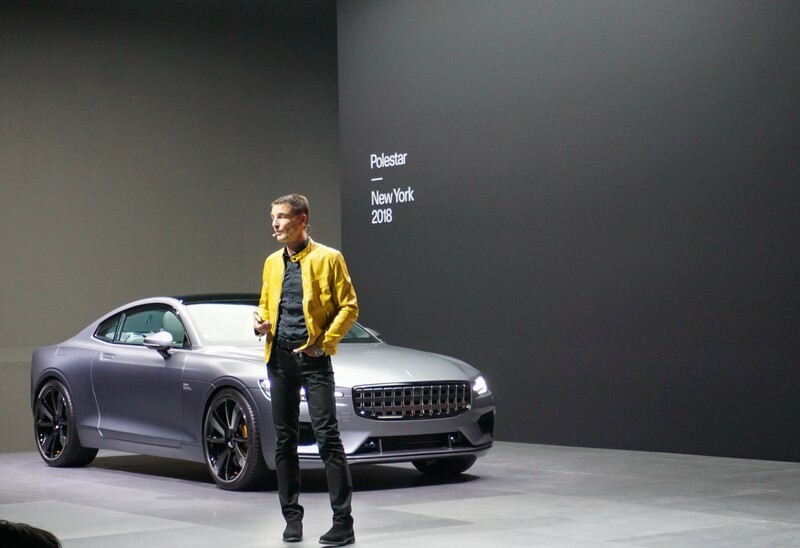 Polestar debuted its first production EV and previewed its electric car line in New York with the CEO squarely taking aim at Tesla. The Volvo subsidiary pulled the cover off its Polestar 1, which it positioned less as a hybrid and more as a fully electric (gas optional) car to attract fence sitters to EVs. The $155,000 auto—that will hit streets in 2019—has twin electrical motors powered by three 34kWh battery packs and a turbo and supercharged gas inline 4 up front (more details here). All electric range is up to 100 miles—which the company claims gives the Polestar 1 the longest all electric range of any production hybrid. 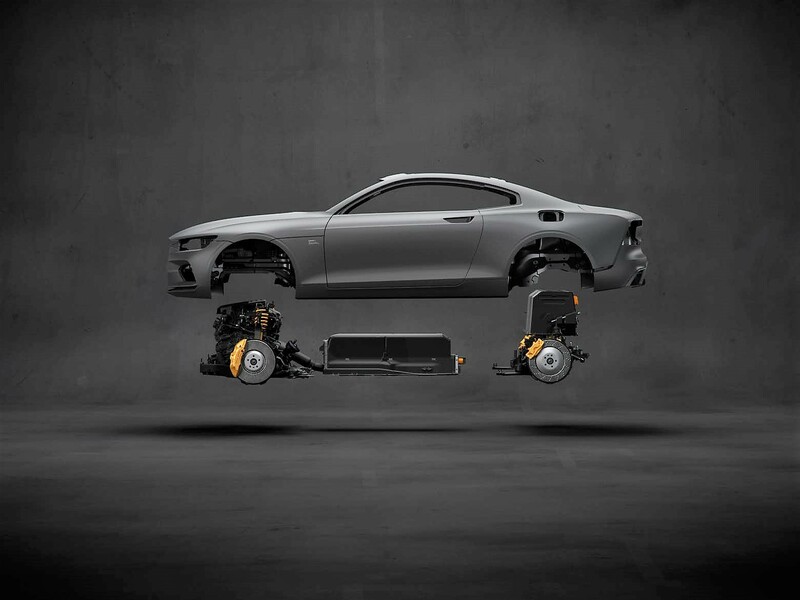 The Polestar 1 brings 600 horsepower and 738 ft-lbs of torque. It is the first in a series, with an all electric Polestar 2 to debut in 2019 and a Polestar 3 SUV after that. “Polestar 2 will be a direct competitor to the Tesla Model 3…” CEO Thomas Ingenlath said on the launch stage. He told TechCrunch the company will focus more on creating converts to EVs than pulling away Tesla’s existing market share. Polestar converts shouldn’t get too attached to that gasoline/voltage combo, however. Polestar 1 will be the company’s first and last electric and gas vehicle, according to Ingenlath. “The future is electric. We will not do a hybrid car again,” he told TechCrunch. At their New York Polestar 1 debut, the company devoted about as much time to the Polestar sales and service experience as the actual car. It will be multi-channel—from app to physical—leveraging parts of Volvo’s dealer network for certain things and staying completely separate for others. For one, Polestar will not have dealers or use Volvo dealers to showcase their cars, according to Ingenlath. The buyer experience will start on the company’s app, then move into what it refers to as a network of “Polestar Spaces” across the U.S., Europe, and China where buyers can view and test cars. Purchased cars can be delivered to one’s home and service coordinated by app and home pickup—though Polestar will use Volvo dealers (not their spaces) on the service end. The company oversubscribed orders for the Polestar 1 with 200 cars coming to North American buyers. While Polestar’s HQ is in Gothenburg, Sweden, it will manufacture cars at a plant in Chengdu China. 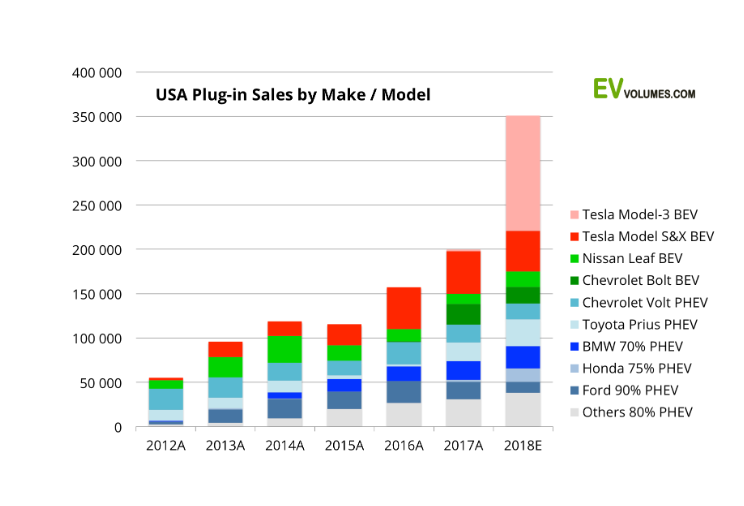 In the U.S. market Tesla still dominates plugin sales by make and model and its Model 3 is expected to boost that lead, according to EV Volumes.